Rantings of An 80s Nut: Feeling Guilty? You own a functioning automobile, a television set, a dishwasher, washing machine, dryer and many of the things that are considered common in our present era. If you go back a few decades, these were all considered luxury items. But, for some reason they are considered standard fare now because people expect more and have more money to spend. Most of us actually have more than one television, a computer (or you are at the library annoying a librarian presently,) VCR and DVD player. I believe that the more we acquire, the more we think we live a sub-standard lifestyle because we don't have something someone else has. Nothing is wrong with keeping up with the Jones'. I mention this because we all have jobs to pay for our necessities and luxuries. I'd like to know if you feel guilty about how hard you work, how much money you make and how you live. Many people would like you to. EXCELLENT question! I have thought about this many times. My short answer is "no" but at times I start to feel guilty then have to remind myself why I should not be. Though I don't feel bad for things I have, I also feel very grateful and blessed to live in the time and place that I do - I also never take it for granted. I am very thankful that I was born in the USA (no Bruce pun intended), at this time, in this era. I do believe that those of us who have "more" should help those who have "less". I can't stand thinking that there are people without enough food toeat, but I don't feel guilty that I have what I have. I give to several organizations I can trust. Hope this makes sense, I am so tired. Well, I have to second Barbara's comment. The Lord has given me much to be grateful for. I too am grateful to living in the US. I think there are a lot of people who just don't know how good we have it. I know that when our kids were growing up that we only had one TV and it was down stairs in the den. We did not allow the children to have telephones in there rooms. If they wanted to call someone they had to use the phone downstairs. I worked hard not to spoil my kids and sometimes I think they don't realize how good they have it. We all need to remember to give as well as receive. Thanks for the post. I second the last two comments, they were very well stated. No, I don't feel guilt. I worked hard to get here. I am amazed at how easy we have it in this day and age... I remember when things like the microwave was still a luxury (and I'm only 35!). I wonder how I'll handle it as a parent. Keep some of those luxuries at bay or try to let her have some of those with limits. Guilt is my middle name. I am not sure I feel guilty about all the things I work hard to get though. I often think about how life was like years ago and how in the furture they will look back and think how we lived with the technology we have. Pong, need I say more? As Amy and I have gone through the process of buying a house, it was amazing how many things were "must haves." I remember when my grandparents were their dishwasher, microwaves weren't common place and not a lot of people had computers. Heck - I remember some of those old Radio Shack/Tandy computers. Anyway, back to post of the blog. I don't feel guilty for the things that I've worked for, but rather I am grateful to have them. I realize that I am a lot better off than a lot of other people. You are so right. Decades ago, I only had a couple of blogs to visit. Now I have hundreds. You mean the latest technological dohickey is not a must have? I often think of how much we have and how little others have. 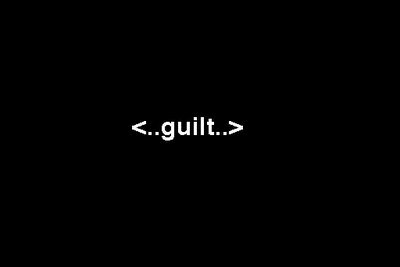 No it's not guilt, but it makes me think that our excess comes at a price (for others to pay). How many sweatshops have we supported today by buying our crap at Mal-Wart? (Wal-Mart)? There's only so many resources on this planet and the US is sucking up as much as we can consume (regardless of shame). The flip side of this is that if the situation was reversed, they would do it to us just as easily. I too have a dishwasher..its called my husband..but I do have the other things you mentioned. I do not feel one iota of guilt about them.I do feel bad however that parts of the world are starving to death. I feel sad that people are killed for their religious beliefs or lack thereof.. I can't do alot about the hunger in africa or the muslims trying to rule their section of the earth with an iron, religious fist. I dont shop at walmart..I refuse to fill their coffers. I do not buy nikes either. But I do love steve maddens and I would stop wearing them if I thought for a minute he used child and/or slave labor to produce them. Its all about priorities. I do what I can when I can for those less fortunate than I. But I did work very hard to earn the things I do own..but I have also been known to pickup and leave it all behind..in the long run, "things" hold little meaning to me in the big picture of life.It can all be replaced if its that important. LIfe is the only thing that cannot be replaced. I don't feel guilty about it at all. I don't make as much money as I could, but that's a choice a made, because my current employer allows more for children (I can bring my son to work with me, for example, if he's sick), and my education can be a priority. I wish I could afford to give my son a better lifestyle monarily, but I don't have a problem with the one we have either. I only feel guilty that I don't spend my money on the "right" things. But, there are so many times I'm torn between what the "right" things are.